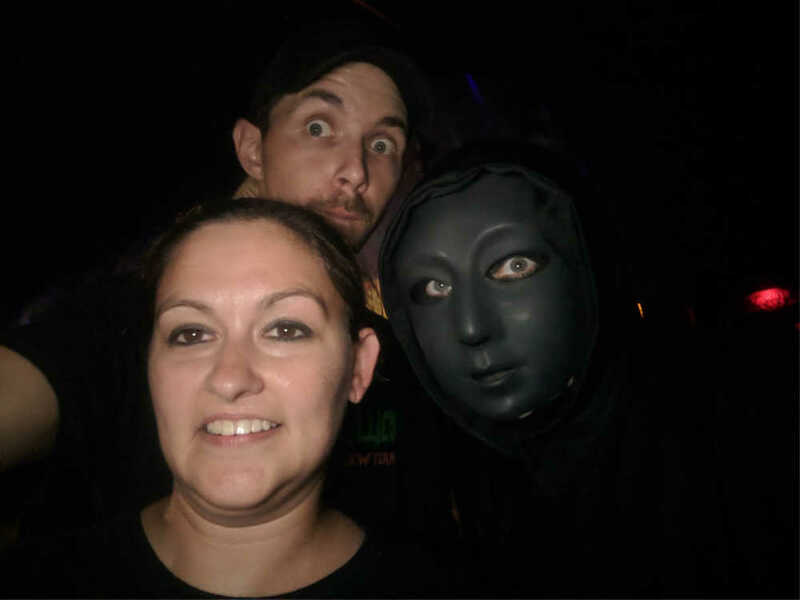 Team Zombillies reviewed this Haunted Attraction on September 15, 2018. 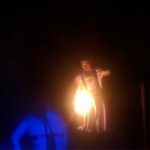 Asylum Haunted Scream Park (AHSP) is a multi-attraction hotspot for Halloween lovers and those looking to have a hauntingly good time. 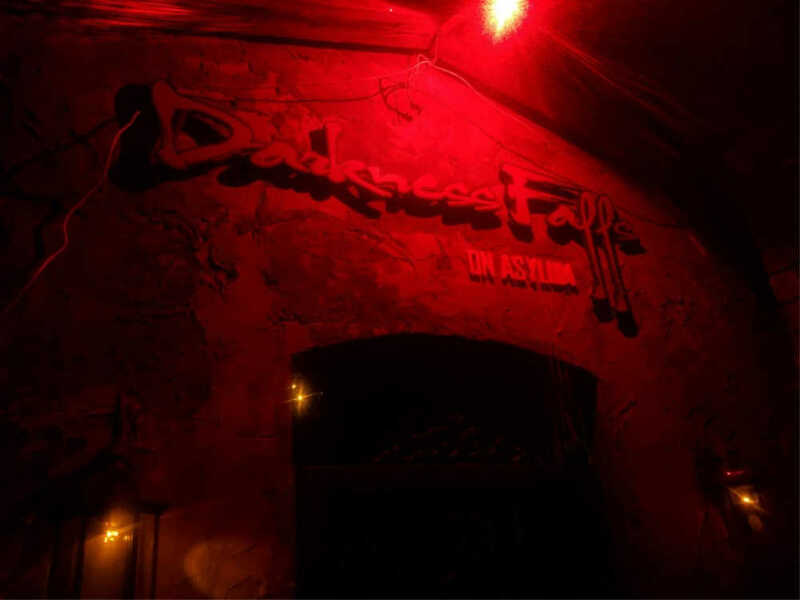 They advertise 5 separate attractions all at a single location, but for this review, we’ll be mostly discussing their two main trails: Darkness Falls on Asylum (DF) and Zombie City (ZC). 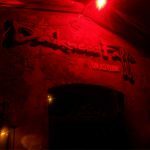 For those who have never been here before, DF is a haunted trek through the woods. However, this is no ordinary trek. You will be dodging psychos and crazies from the Pond Station Asylum that are out for blood and all troublemakers will be burned! ZC is more of an interactive, theatrical experience where YOU will become part of the action. Now, that’s not to say that there won’t be any scares going on because, we can assure you, there will be scares! If you are a returning visitor, be prepared to see a lot of changes! Once we walked through the gates and got our tickets, we barely recognized the place! There were so many additions this year that we don’t know where to begin. DF has been re-routed with a fresh layout and the monsters inside were more aggressive than ever! In ZC, there is a new twist on their ever-expanding story as the plot thickens behind the Blackwood City Research Facility. 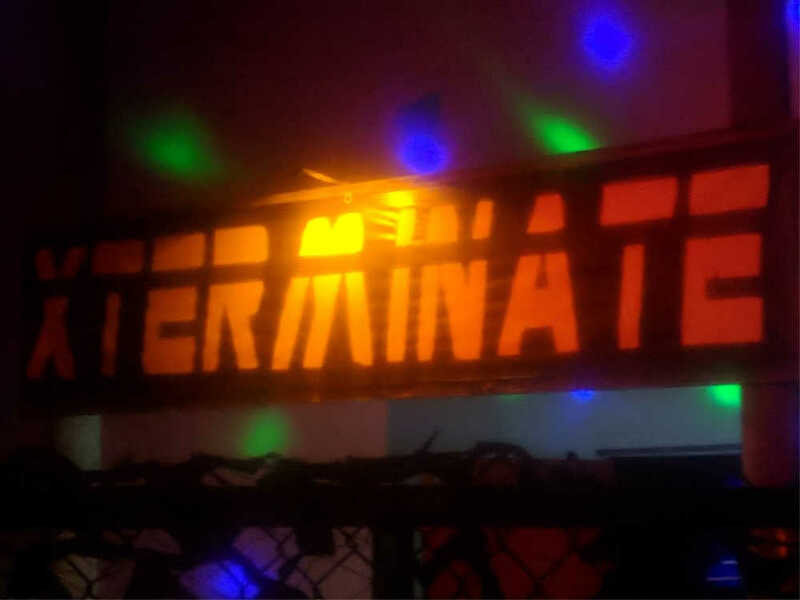 Aside from the two trails, they also offer two very interactive attractions; Xterminate and Zombie Hunting. We’ll get more in depth with those later…But we can tell you now, they are a lot of fun! Although DF has been re-routed this year, it seemed like they still had about the same number of characters, if not more! Nearly all of the “dead space” that we’ve encountered here in the past has been practically eliminated, and many of the scenes had more than one monster. Now, there were still a few stretches where we didn’t see any actors for a minute, but, those areas shifted the scaring duties over to the Special FX department (discussed below). Regardless, there was still a good mix of characters that fit the theme of the trail. This year, some of the actors’ energy and believability was very high. Our visit was on opening weekend, so this will likely increase even more as Halloween approaches. These guys were banging bats on things, knocking shelves over, summoning demons… even flying overhead! They also had some impressive vocals! The Nurse who told us the rules and story (Nurse S. Laughter), Dr. Gibbs, who informed us that “a mental scar lasts longer than a physical one,” the lady in the kitchen (Clementine), and “Rat,” the psycho patient that had us flying and doing the “poo poo choo choo” (don’t ask), were by far the most entertaining! 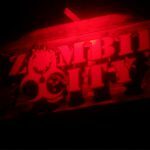 ZC is unlike any other haunt we go through, which is largely because of its cast. Rather than focusing only on scares, these guys immerse you in an elaborate “life-or-death” scenario, where you must cooperate with your group – and the actors – if you want to make it out without turning into “one of them zambies” yourself. That said, these characters are very interactive. Dialogue can range from having casual conversation with your group all the way up to yelling death threats in the heat of the moment. 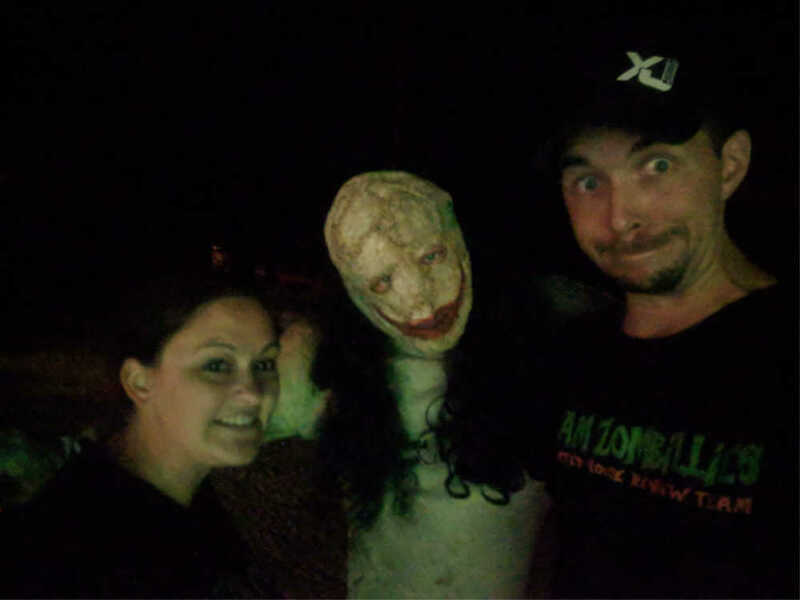 Because these guys are so much different than your typical haunt actors, ZC ranks in as one of our personal favorites. Their job is to make you believe that what’s happening is real and they do it very well. Even though it’s not the scariest haunt all the way through, they WILL have you running for your life if you want to get to the end! 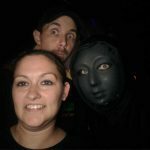 We visited AHSP on their opening weekend in September and, at the time, it was unseasonably hot outside (we both came out of the haunts sweating). We were informed that some of the crew didn’t have all of their outfits on to avoid heat-related illnesses. That said, as Halloween approaches, it’s likely that the costuming in both haunts will improve as temperatures allow and they’re able to wear their regular outfits. Most of the characters you’ll find in DF are, in one way or another, related to the haunt’s “asylum” theme. Distressed medical outfits are scattered along the trail, but there’s also some other attire used by the non-medical monsters that you’ll encounter. Priests, groundskeepers, hillbillies and skin-tight corpse-looking morph suits can be found as well. Generally speaking, most of the costumes seemed to be well put-together and helped make the characters more believable-looking. Aside from those that didn’t appear to be wearing their normal costumes (see note above), lots of grungy little details made them look more “at home” in their dilapidated scenes. Few masks were used, but the ones that we saw added some nice twists to their looks as well, including the burlap masked-guy in the boiler room pit. Instead, most of the characters used makeup for an extra dimension of “darkness.” Occasional blood splatters and other techniques worked to solidify the idea that this wasn’t an ordinary insane asylum. Another way ZC keeps things interesting is by mixing normal-looking actors in with their regular “monsters.” Our tour guide, for example, was wearing a work uniform and no makeup to speak of. As we made our way through the zambies (the ZC version of typical zombies), we also crossed paths with rogue militants, a violent cult in robes, backwoods survivors living in the swamplands, and wayward scientists along the way. A few of the zambies were the most grotesque of the bunch, which made it easy for us to pick them off as the story unfolded. Everyone else was dressed appropriately and modestly; even though they weren’t all scary-looking, this actually helped their characters become more believable. Coming from I-65, AHSP can typically be spotted from the freeway just before you take the exit. 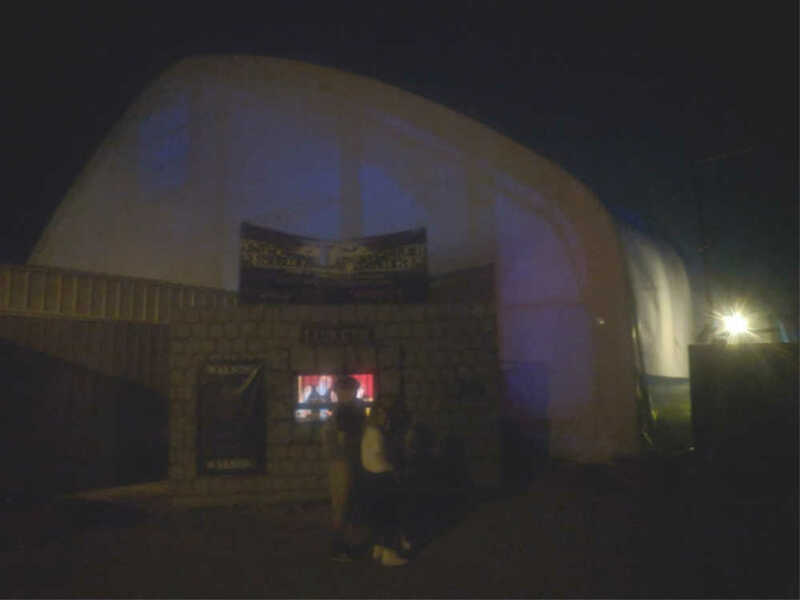 The large, white tent that Xterminate takes place in is lit up with many different lights that are used at the park. Our GPS takes us right there every time, so it’s always pretty easy to find. Several signs helped us along the way, guiding us to their free, large parking lot. If you visit on a very busy night, we will warn you that parking is limited, so you may need to walk a short distance to get inside the gates. Should you have any questions, there are plenty of staff members scattered throughout the park that will be happy to assist you, including inside the ticket booth. Each staff member that we spoke to at the head of the attractions and at the carnival games/booths were very friendly and informative. We also noticed a lot of security on grounds. Both of the trails take place outdoors, so be sure to check the weather and dress appropriately. The midway and queue area is mostly gravel and it’s common to spend at least a couple of hours here, so we advise wearing comfortable shoes. We know that keeping up with the elements of an outdoor attraction can be a daunting task. Asylum did a great job of that this year, despite the storms that came through in early September. We didn’t come across very many big tree roots, branches or other things to trip over on either trail. They also laid some carpet down in several places, which seemed to be doing a great job of keeping the mud under control. 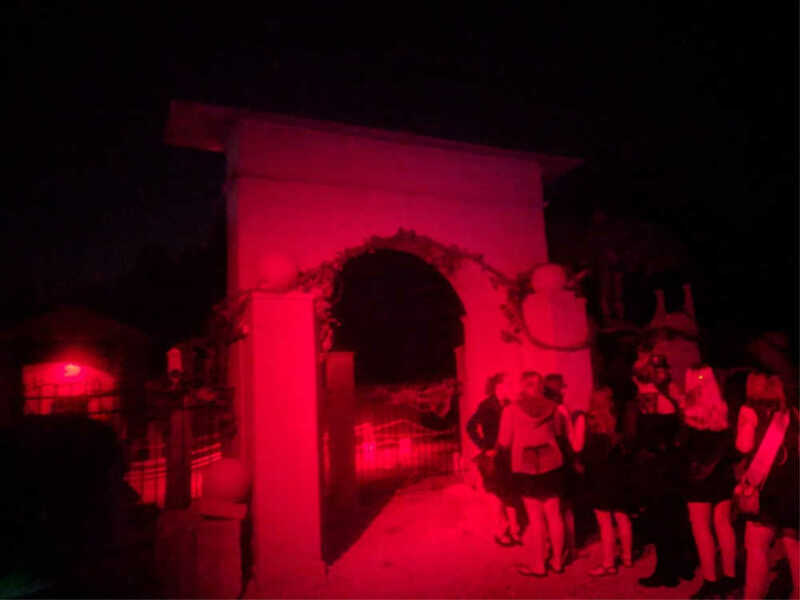 AHSP starts providing a fun and inviting, yet spooky atmosphere as soon as you walk through the gates. During the day, this facility serves as a large paintball park. But, at night during the Halloween season, it’s so much more than that! With both trails winding through many acres of woods, the location alone can be spooky enough as it is! It can get very dark out there in places, so don’t feel “left out” if you’re already on guard as soon as you pull in. At first, the surroundings may be overwhelming because there’s so much going on here! The haunted signs, entrance, decorated ticket booth, and multiple roaming actors instantly let us know we were in the right place. The Carnivale is set up as the midway of the haunt, so you’ll pass through this area to get to the queue lines. 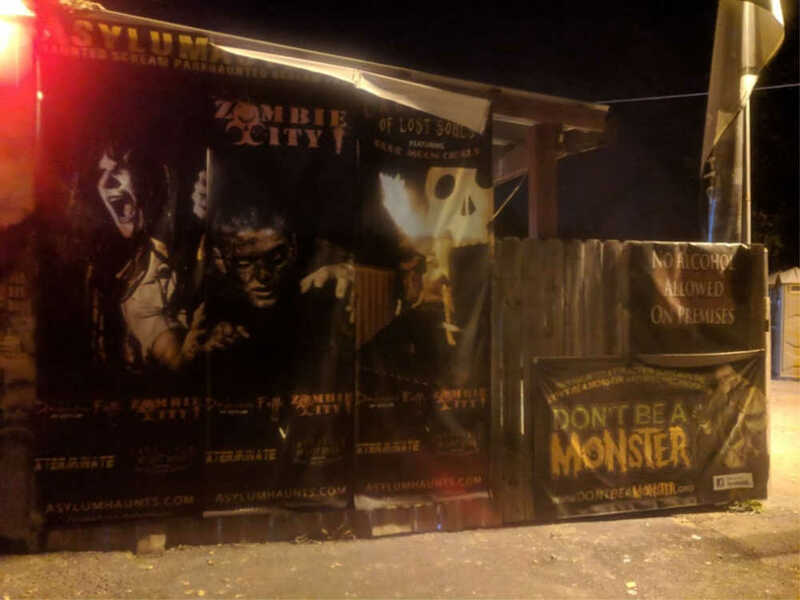 As we headed back to the haunts, we saw a hearse, a brand-new entrance to Zombie Hunting – complete with AHSP’s custom-made, post-apocalyptic Jeep – and a small military-style tank. But, that wasn’t all! We rounded the corner to get in line for ZC or DF, and we were like, “Whoa!” They had gone all out on their decorating by bringing details of the haunted attractions into the queue areas. The queue area / facade to DF has been turned into a large courtyard complete with columns, fencing, a concrete wall, and we even noticed barbed wire on top to keep the crazies in (or something else out?)! Waiting in line and listening to the eerie music at the entrance had our imaginations going crazy too. The waiting area for ZC is decked out as well. A large watchtower, chain-link fencing, camo netting and other decor work to get you in the mindset of the “zambie virus outbreak” theme within. We would also like to note that the rules are given in a unique way for all of the attractions. The gatekeepers modify them (sometimes more than others) to fit the theme for their respective attractions. This works in many ways to help get you ready for the experience that lies ahead. This year’s most notable improvements to DF come from a major path change through the woods. The journey itself isn’t quite as long as it used to be, but the condensed result made a more action-packed path with less “dead space” compared to previous seasons. The journey includes a lot of different and realistic scenes, ranging from moldy medical offices and a cemetery with huge, above-ground graves to an overturned bus (that you get to walk through), a rusty boiler room (complete with a slide), a surreal mannequin hallway, and the hillbilly Shanty Town. Most of the effects and props are pretty old-school, meaning you won’t find any fancy animatronics. But, the majority of what you will find has been created and designed in-house. Did we mention AHSP owns their own prop-making company!? Some of the effects we came across included an overhead “surprise,” sliding floors, giant spiders, some really creepy sounds, bug-infested food, giant baby blocks, and much much more! The scenes and effects in ZC are designed to depict that of a real, rundown city. It is also set up to be an interactive trail; you will walk through a bus, a sewer (complete with running water), in and out of buildings, a butcher shop, through real swamplands and other zambie-infested areas. Most of these scenes do a good job of maintaining the “suspension of disbelief,” but a few could admittedly use some extra detail work to make them feel less empty. Even though there weren’t many sound effects in use throughout the trail, there was still a lot of talking, zombies groaning, and gunshots to fill in the quietness of the woods and scenes. 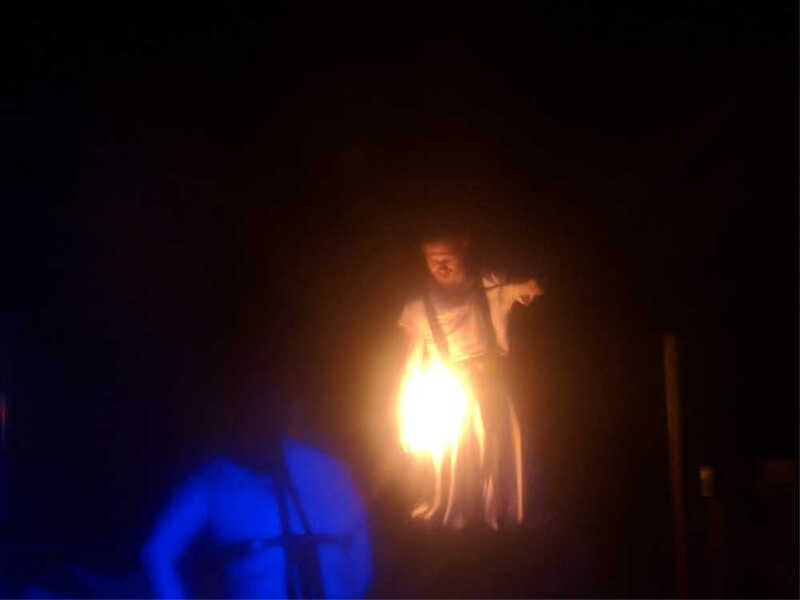 We also noticed a live surveillance system, a “booming” surprise that will send shock waves through your group, and a sudden burst of flames just when you least expect it! Compared to years past, DF seemed to do a much better job this year of tying the scenes together under one theme. Creating an “asylum” on an outdoor trail can be tricky at best. But this year, they’ve done it in a way that makes everything feel more cohesive. As we progressed through the trail, many features of the original asylum were still there! Some of the characters matched this theme very well, and some of their dialogue reiterated the nurse’s story. As you wander in and out of the old asylum’s property, you’ll come across Shanty Town (a small hillbilly community), the kitchen, a graveyard and – should you lose your way – the unresting souls of those who’ve fallen victim to the institution’s fiery fate. 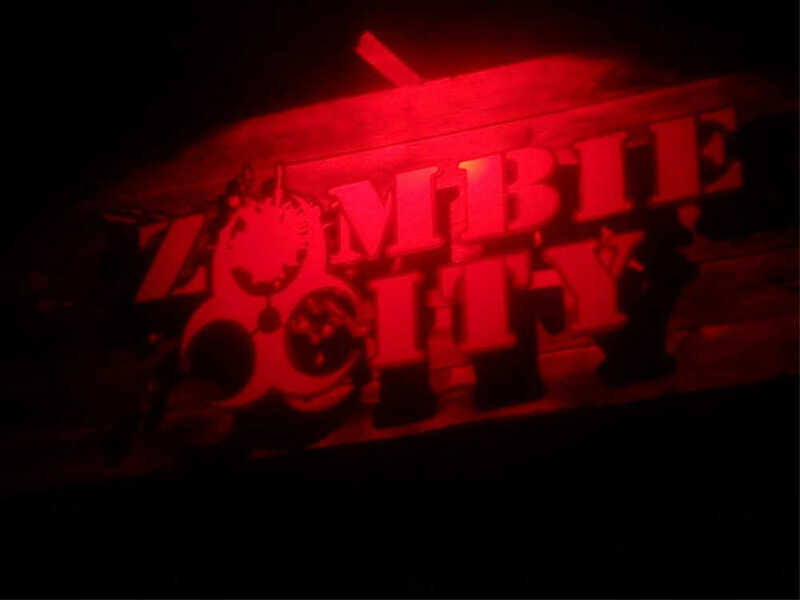 The biggest thing to remember about Zombie City is that, while many haunts claim to be “immersive,” we haven’t found one to date that truly makes you feel like you’re in the middle of a horror movie quite like this one. There are slower times that help develop the story, times of high-intensity action to get your blood flowing, and even a tense finale where the fate of the world lies on the decisions that you make! The ZC theme revolves around a story that updates every year within Blackwood City. To find the stories, you can typically visit their website and click on the attraction’s page. If you’ve never been here before, the background story is that there’s been an outbreak of the Pandora virus from Paragon’s Blackwood City Research Facility. The government tried to step in to fix everything, but their efforts were futile and, now, the entire city is in a post-apocalyptic, zambie-ridden state. The update for this year wasn’t on the website yet (as of this writing). But, long story short, this year’s most prominent additions introduce two new groups of survivors: a rogue militia that goes by the name of “SCUZ” (Society for Cutting Up Zombies), and a religious cult that you do NOT want to be on bad terms with. 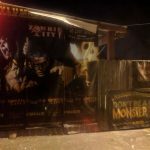 Both groups proved to be great additions to the haunt and each of them ramped up this edge-of-your-seat experience in pure Zombie City fashion. 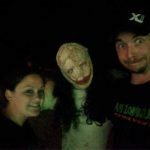 We always love us a good haunted trail because you just never know what could come running out of the woods at any moment! Was that a twig breaking over there? Was it someone sneaking around in the woods? Your mind may play games with you, but the residents of the burned asylum will play games with you too. Because of this, we were watching our backs nearly every step of the way. We didn’t see as many different types of scares on this trail as we have in the past, but some of the ones we did experience proved to be more effective. Because the trail is shorter than it’s been in the past, we got “tag teamed” by the actors on multiple occasions. We were paired with a group of four (6 of us total) and they tried their best to target us all at least once. Sometimes they would strike in the middle of the group or the front and the back got stalked too, so you’re not really safe anywhere. The loud noises, several good hiding spots, and attacks from all angles made it nearly impossible for us to predict what they were going to do next. There are some big surprises waiting for you within Blackwood City; we can attest to that! First of all, there’s zambies and they will come after you when given the chance. Second, there’s crazy people with guns! And third, there’s no way to know who to trust, but you must rely on someone to get you safely out of the city. Talk about a terror trifecta! Our journey led us into turmoil right off the bat. We witnessed several acts of violence and we were forced to get so close to the zambies that they could almost bite us; one wrong move and we were zambie dinner! There were also a few good times of suspense buildup. At one point, we were in a building with the door shut and we could hear “something” hitting the door and panting on the other side. We all kept looking at one another wondering what the Hell was out there?! After you get to the city, someone will likely find you and try to assist you along the way. This person may be able to protect you, but they “may” be quickly removed from your group at any time. Those zambies are smart and always seem to have the perfect hiding spots. We guarantee that, at one particular point, not many of you will be able to pick them out until it’s too late! If you plan on visiting AHSP, go ahead and bank on spending most of your evening there because they offer a lot to do! The Carnivale of Lost Souls offers great food (definitely try the BBQ), a photo booth, different vendors, an escape bus, haunt memorabilia, carnival games and more! But that’s not all… They also have sideshow performances for those waiting in line. Lastly, there was a good group of roaming actors during our visit that were scaring customers right and left! As mentioned above, two of the other main attractions are Zombie Hunting: Urban Paintball Experience and Xterminate: Mutant Clowns. We have experienced both these events for several years now and we have to say this is the best we’ve seen them yet! 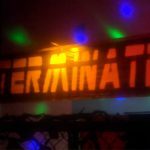 The Clowns in Xterminate were energetic and knew their way around the 18,000 square-foot laser tag arena extremely well. They made the whole experience very fun and even scared us multiple times. Be prepared to really get into this first-person shooter game that’s all on foot! Prefer to ride while shooting zombies? In Zombie Hunting, you will be shooting real zombies with REAL paintball guns and, of course, it was a blast (crappy pun intended)! The zombies were coming on strong and one even jumped on the bus! They had all-new paintball guns this year that were turned up for long-distance shots and they were actually pretty accurate. Special lighting on the sides of the bus made it easy to see what we were hitting and they even threw some body parts in the air for us to shoot. 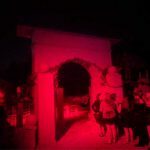 For those who want to go all in on a night of haunted house fun, there is an All Access Pass that will grant you entrance to all four of the main attractions for $45.00. We recommend taking this route if you have the time because you’ll get the full experience, making each attraction only $11.25 each. However, there are quite a few ticketing options you can choose from and they try to offer something for everyone. If you don’t have time to hit more than one attraction, tickets to any single one can be purchased for $25.00. VIP upgrades are offered at $20.00 more for those who don’t want to wait in the general admission lines. Darkness Falls took us a total of 18 minutes to get through, and we were trapped in Zombie City for about 29-1/2 minutes! That comes to 47.5 minutes combined. When considering just the two haunts, their MPD (minutes of entertainment received per dollar spent) is at 1.05. Add in the two other attractions you would get with the All Access pass and you will have yourself one Hell of a value! 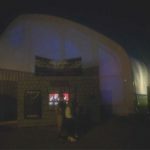 AHSP is also home to the Slenderman: Live Action Experience and we highly recommend checking it out as well. Be sure to look up “Slenderman” right here on TheScareFactor.com to find our latest review. We paid AHSP a visit during their opening weekend and we were amazed at all of the changes that had been made for the 2018 season. We’re very satisfied with how much fun we had and we know they’ll only get better as the season progresses. There are some very good characters, scares, and entertainment out there that can be enjoyed by the whole family. If you’re ready for an evening of fun in the Louisville area, be sure to pay them a visit.